Rainy Weather – Thanks Alberto! In case you haven’t noticed, tropical storm Alberto has generated a lot of rain this week. And driving in the rain in metro Atlanta can be stressful, hectic, and unsafe. There are cars all around you, there is rain showering over your car, and there is low visibility. There is a reason that more car accidents take place in the rain and it is not always because drivers can’t see. How can you prepare yourself for driving in the rain? Here are some helpful tips for driving in the rain. City traffic can be terrible during a rainstorm. It is not out of the ordinary to pass multiple accidents in one commute. Again, it’s not the visibility that gets most drivers, it’s the initial lack of traction due to materials on the road. When you brake, your stopping distance will be significantly increased in the rain. Drive slowly in the rain, but not too slow. It is important to follow at a safe distance (3 second rule) and increase that distance in rainy weather. Cars directly in front of you will cause water to spray on your windshield, which makes it even more difficult to see. Be aware of large trucks and buses when you are driving, following behind them can be hazardous because they kick up more water than other vehicles. It is recommended that your windshield wipers be replaced every six to twelve months. To avoid replacing perfectly good wiper blades, simply test them regularly with a heavy stream of windshield wiper fluid. If your windshield is left streaked and partially wet, you should probably replace the blades. If your blades have cracked or torn rubber or you can hear them scraping then they should be replaced. Anti-lock brake systems have revolutionized the way cars stop, but they’re still not perfect. 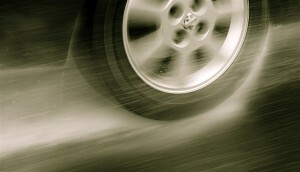 When you need to stop or slow, do not brake hard or lock the wheels and risk a skid. Maintain mild pressure on the brake pedal. At Walker Smith Body Shop we want you to be prepared to drive safely in all kinds of weather. We hope you found these tips for driving in the rain helpful. But in the unfortunate case that you get in an auto collision because of rain or any other reason, feel free to give us a call and let us repair your car. We always take great care of our customers and treat them fairly. Whether it’s scratch removal, dent removal, a new paint job, or auto body repair, we can make your car look new again! See us in Snellville GA.